YOU ARE NOW ENTERING THE FRIEND ZONE! 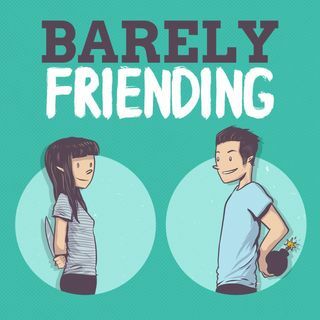 This week we talk all things friend zone! We both share our stories, and talk about how to make it out on either side. Go try it out ladies and gents! The Barely Friending Podcast is hosted ... See More by Eddie Della Siepe and MJ Riggins. Follow them on Twitter, Instagram, and Vine!